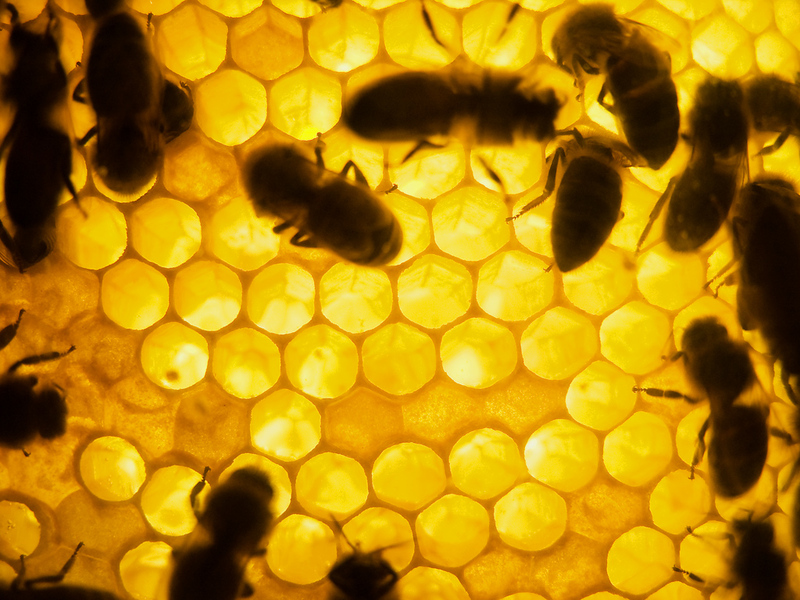 Beekeepers across the U.S. are reporting record low honey crops. One third of American agriculture is at stake. The problem may be a Bayer-branded pesticide used on corn. But the EPA knew that clothianidin could be toxic to bees when the product came on the market in 2003. So why is it still on the market? Beekeepers across the U.S. are reporting record low honey crops as their bees fail to make it through the winter. One-third of American agriculture, which relies on bee pollination, is at stake. And the problem may be at least partially attributable to clothianidin, a Bayer-branded pesticide used on corn and other crops. But as we revealed last week, the EPA knew that clothianidin could be toxic when the product came on the market in 2003. So why is it still on the market? The bee-toxic pesticide problem can be traced back to 1994, when the first neonicotinoid pesticide (Imidacloprid) was released. Neonicotinoids like imidacloprid and clothianidin disrupt the central nervous system of pest insects, and are supposed to be relatively non-toxic to other animals. But there’s a problem: The neonicotinoids coat plant seeds, releasing insecticides permanently into the plant. The toxins are then released in pollen and nectar–where they may cause bees to become disoriented and die. After imidacloprid was released in France (under the name Gaucho) the number of bees in the country dropped rapidly, from 75 kg per hive down to 30 kg per hive between 1995 and 2001. France conducted an official study on the pesticide in 1998, but found no solid evidence that imidacloprid played a part in bee deaths. Nevertheless, Imidacloprid was banned for use on sunflowers and, later, sweet corn. Enter clothianidin, a next-generation neonicotinoid released by Bayer in 2003. “In terms of the neonicotonoid family, clothianidin is one of the most toxic members,” explains Dr. James Frazier, a professor of entomology at Penn State’s College of Agricultural Sciences. But in April 2003, the EPA decided to give Bayer conditional registration. Bayer could sell the product and seed processors could freely use it, with the proviso that Bayer complete a life cycle study of clothianidin on corn by December 2004. Bayer was granted an extension until May 2005 (and permission to use canola instead of corn in its tests), but didn’t complete the study until August 2007. The EPA continued to allow the sale of clothianidin, and once the Bayer study finally came out, it was flawed. pollen-producing crop that bees rely on for winter nutrition. But soon Hackenberg made the connection: bee die-off seemed to follow corn crop plantings so much that “you can follow the trail of this stuff to where bees are collapsing,” says Hackenberg. neonicotonoids in the environment has always made them suspect for us,” he explains. Frazier and Hackenberg weren’t alone in their concern. Germany suspended the use of neonicotinoids in 2008 after the misapplication of clothiandin by beekeepers in the Baden-Württemberg area caused the pesticide to get into the air. Two-third of the beekeepers’ bees in the region died as a result (tests on dead bees showed that 99% had clothiandin build-up). cotton and mustard (the chemical can currently be used on corn, canola, soy, sugar beets, sunflowers, and wheat). contaminated pollen and nectar.” The study also warns that clothiandin is highly toxic to bees on both a contact and oral basis. Hackenberg doesn’t think that the EPA will take action unless it’s sued by a major environmental organization (note: in 2008, the NRDC sued the EPA to release Bayer’s studies on neonicotinoid safety). Indeed, Hackenberg tells Fast Company that an EPA official recently told him that clothiandin is still on the market in part because of fears that Bayer would sue the agency if it is removed. No one can say for sure that neonicotinoids alone are causing bees to die off–many more studies have to be done. But the EPA would do well to err on the side of caution for the beekeepers who are rapidly losing their bees. Tom Theobald, for example, saw his smallest honey crop in 35 years of beekeeping, and Hackenberg claims that he has talked to beekeepers across the country who have lost up to 90% of their output this year. Is it really worth waiting to find out what happens if the EPA doesn’t take neonicotinoids off the market? There isn’t time to waste. Clothiandin has a half-life of 19 years in heavy soils favored by farmers. The EPA has not responded to our requests for comment.